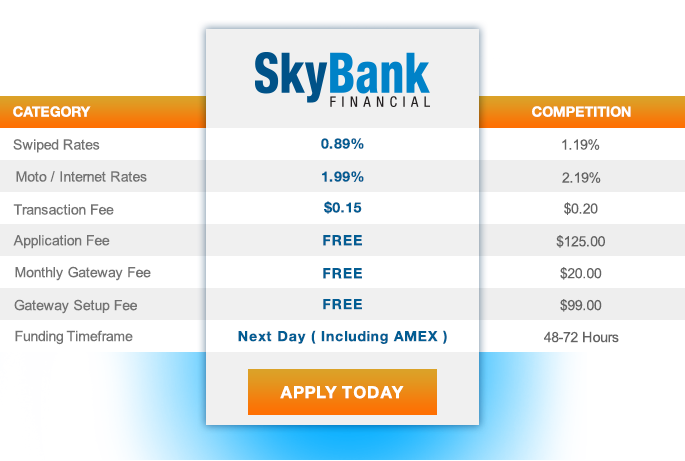 SkyBank Financial ensures the most competitive pricing through our Lifetime Low Rate Guarantee. WE WILL MEET OR BEAT ANY VALID OFFER OR PAY FOR YOU TO SWITCH. 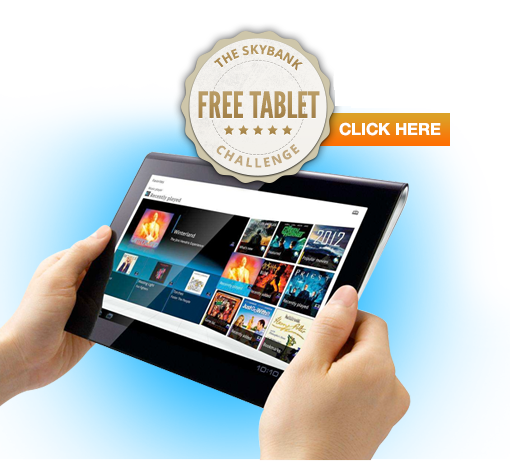 Speak to a SkyBank Consultant Today. SkyBank Financial is a registered ISO of Wells Fargo Bank N.A., Concord, CA. © Copyright 2005 - 2018. SkyBank Financial.